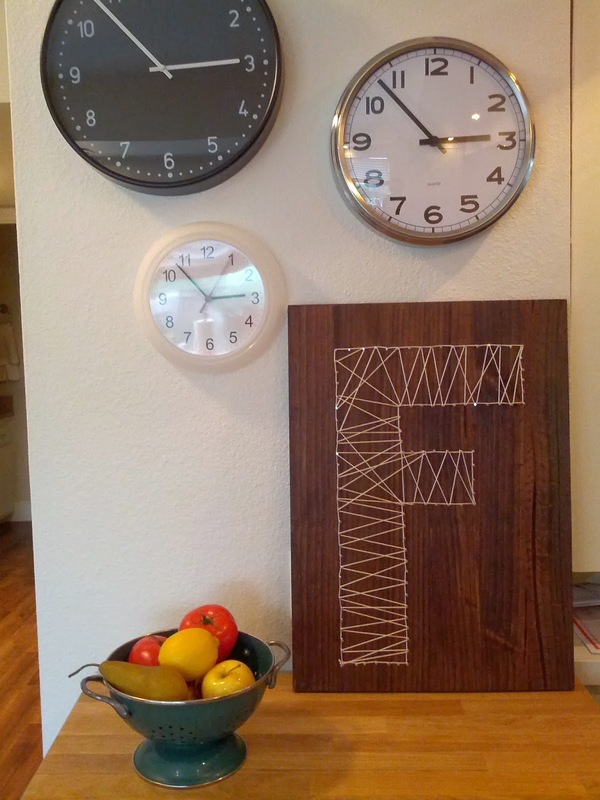 Recently at IKEA, while shopping in the marketplace section of the store (as opposed to the showroom), I came across the clock section and was hit with the idea to do a clock wall somewhere in our house. I decided the wall that the kitchen cart sits against would be the best option, since it's the most practical place to keep clocks, and the wall is small enough to fill easily with a few clocks. 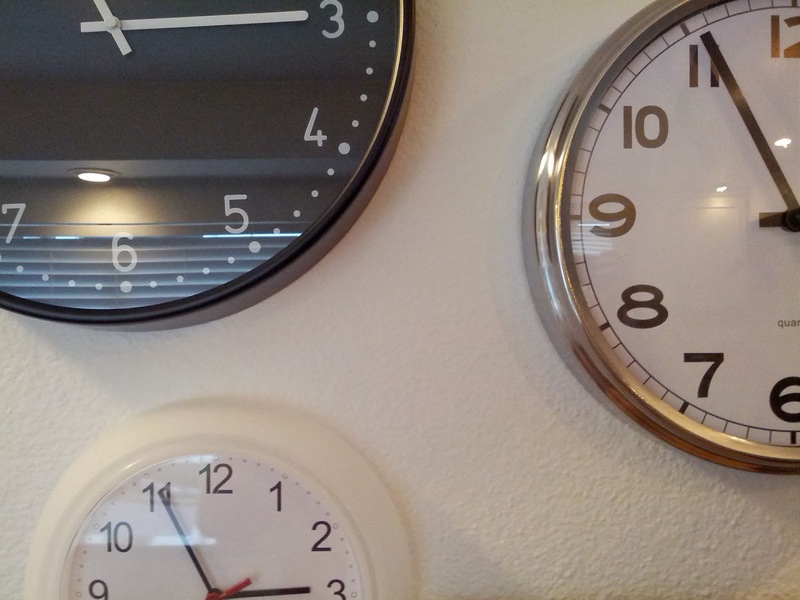 Another thing I like about doing a clock wall is that if I ever decide to rearrange them or move one to a different room, I could easily do so and it wouldn't be weird. If I had gone with a single piece of art or photography and ever decided to move it, I'd be stuck with an empty wall again. I bought three different clocks, an all black one, a silver-rimmed one, and a white-rimmed one. I'd love to go thrifting and find some unique ones to add around them! My only criteria is that they don't tick. The little white one ticks, and it doesn't bother me too much, but I know if there was one more clock that ticked, I'd feel like Captain Hook in Hook.